Amplify your wardrobe with the 8038 from Vivian Morgan. Made of premium grade metal, these eyeglasses are equally stylish and strong. The 8038 features a rectangle shape that's made specifically for narrow and medium faces. It comes in Black, Brown, and Purple. 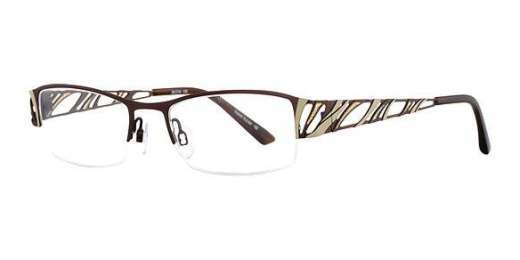 Freshen your style - shop the 8038 from Best Buy Eyeglasses today.